A driveway is a type of private road for local access to one or a small group of structures, and is owned and maintained by an individual or group. Materials used for driveways include concrete, decorative brick, cobblestone, stone, masonry, asphalt, and decomposed granite, surrounded with grass or other ground-cover plants. Driveway is one the most important part in the residence. It helps in connecting the residence with the outside road and it should be built with good quality material for long lasting. And when it comes to durability, then, concrete driveways are the best options for homeowners. 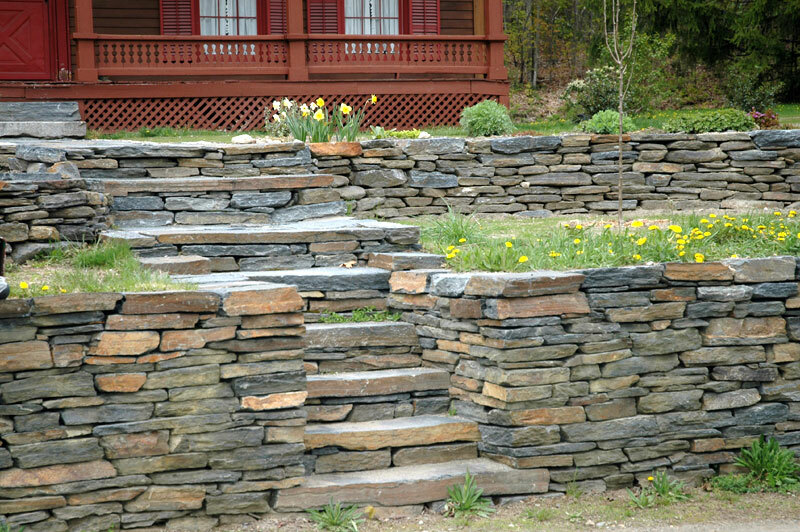 They (concrete driveways) require only one time investment, being higher, in the beginning. Beautifully constructed driveways of concrete can last for 20 to 25 years and do not need high maintenance. Concrete driveways are quite solid and could well withstand any weather condition. Moreover, concrete is the best material for constructing any driveway in the residence as it can survive any weather condition and other storms. Asphalt driveways and concrete driveways are the two best materials in implementing the driveways. However, Concrete Driveways are constructed in hot climate areas and you need to first make sure the base of the surface should be laid heavily with gravel else it would develop cracks.However, Asphalt Driveways are usually constructed in hot humid areas and would need to be implemented with care and need driveway sealing. Asphalt Driveways become soft when sunlight gradually falls on them and hence they become victimized to ruts. Moreover, when it comes to maintenance, then, a concrete driveway paving stands better. Concrete driveways need a few maintenance and due the sturdiness of concrete, the driveways do not break down with wear and tear. These concrete driveways are easy to clean as well and usually require a scroll and pressure washing to give them a shinning look. On the other hand, Asphalt driveways need periodic maintenance and they need to be sealed once in three years. Concrete driveways could last for many decades if maintained over a specified time period. Asphalt driveways could last only for three decades and need regular maintenance. When you need to get a new concrete driveway constructed in your home or a driveway repair, including coating material, resurfacing, or curbs, then, all you need to do is to find the best concrete driveway contractor in your area. Your search should be such that you get all the names of the contractor around your area and then, start a comparison of the charges along with checking whether those concrete driveway contractors are licensed with state, insured, experienced. You could also contact your friends and relatives, who might have had services from the contractors among them. And contacting those people, who has just got driveways constructed in their home in the recent past is the best practice. Good concrete contractor would use the best material being concrete material and suggest and execute ideas on implementing a firm foundation inside the surface concrete driveway. Driveway landscaping and edging can be of brick or stone or pavers, and the driveway can be made of stamped, textured, colored concrete or cement. Concrete driveways repair work does not require any material to be replaced rather only a fewer repair over a long period of time. Concrete driveways absorb water and when this water get inside the surface of the concrete, the realistic issues are popped up. During winters, water enters the surface of the concrete and freezes due to lower temperature. It(water) expands and is responsible for cracks on the surface. Those cracks develop quite quickly and the whole concrete driveway could be damaged in a short while. However, these cracks need to be addressed quickly and Concrete Driveway Sealer serves the purpose of protecting these driveways from cracks. 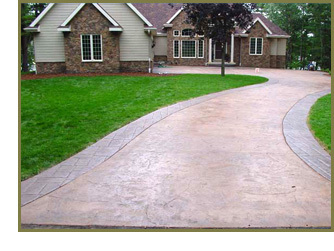 These concrete driveway sealers also make the drive beautiful. Now a days, Concrete Driveway painting seems to be commonly used technique to improve the beautification of the concrete driveway and it also constitutes to it's maintenance. However, surface of the concrete driveway is also strained for it's protection. There are a few concrete driveway stainer available in the market. If you would like to get concrete driveways constructed for your homes in the Ohio Cleveland and Cuyahoga area, then, contact www.clevelandbricksandmortar.com for best concrete driveway contractors.